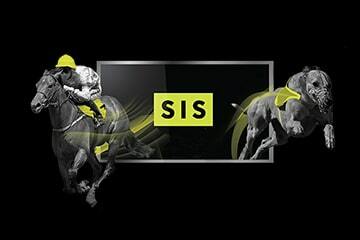 Simon Fraser, Head of International Racing at SIS, looks ahead to 2019 to assess how the betting and gaming landscape will shape up in the coming year. There’s never a dull moment in our industry. 2018 will live long in the memory as the year which saw major M&A deals take place, the repeal of PASPA in the U.S., the FOBT ruling in the UK and regulators upping their game in the pursuit of responsible gambling by handing out hefty fines. As we roll into the New Year, it’s that time of the year to evaluate the betting and gaming landscape. Predicting what will happen in 2019 is a tall order, particularly for an industry that has a habit of throwing up some surprising events along the way. However, there are certain developments that we can safely say will progress in the following months. Changes in legislation are already sweeping across the globe and will continue into the early months of the New Year. Sweden, for example, will introduce its new regulatory framework at the beginning of 2019, which will require those wanting to operate within the jurisdiction to hold a licence. In the UK and Ireland, regulation will remain high on the agenda, from curbing betting advertising on TV to finally introducing limits on FOBT stakes in the UK, and the increase in betting tax in Ireland. These on the face of it will put the retail industry in particular under enormous stress. However, new frameworks can also provide opportunities for future business growth. For instance, as monopolies are being broken down all around the world, it will offer great openings for businesses who are used to working in extremely competitive highly-regulated markets such as the UK and Australia. The industry has an exciting future ahead, with developments taking place across several emerging markets which will drive growth. Latin America continues to open its doors to regulated online gambling, with Brazil the latest to review plans to introduce legalised online and retail sports betting. While in Africa, online wagering is fast-expanding to become an interesting territory for the industry. However, it’s across the Atlantic which is arguably the most intriguing developing market of them all. Following the downfall of PASPA, we fully expect more states to pave the way for legalised sports. Much has been the discussed about the potential of the U.S. sports betting market. It’s still very much in its infancy but given the sheer size of the territory, you can understand why operators and suppliers have been putting the building locks in place in order to seize the opportunity. The potential of the U.S. is huge and simply cannot be ignored, with new customers expected to soar. It’s difficult to pin-point which innovative new product, if any, will make its breakthrough in 2019. It’s great to see companies experimenting with the likes of virtual reality and voice-recognition software, but the likelihood of these making any impact in the short-term is very slim. I’m sure we’ll see continued development of blockchain and cryptocurrency technology, but again, it’s unlikely there will be any inroads made for a few years at least. What we’re more likely to see is both operators and suppliers improving their existing offering to provide a richer user experience. In particular, one area we’re focusing on at SIS is enhancing our streaming services, allowing for more bespoke content to be delivered to both online and retail operators. An existing trend in the market is the demand from bettors to access premium content at a time convenient to them, with digital media platforms like Netflix driving a culture of allowing for instant accessibility at times that suit consumers. It’s therefore important that we as an industry enhance the availability of quality betting opportunities across the day to meet customer expectations, as it will not only lead to greater engagement but also boost revenues for operators. It’s our belief that the ‘Watch and Bet’ model will continue to grow in popularity with operators’ customers in the near future, with free-to-view quality content combined with on-screen betting triggers, leading to an increase in betting turnover. We have already seen some early adopters benefiting from a 25% raise in betting turnover vs Bet & Watch. The launch of our new 24/7 Live Betting Channels, available in the ‘Watch and Bet’ format, meets the demand for regular betting opportunities throughout the day, and offers profitable short-form betting opportunities every three minutes. We fully expect round-the-clock content to become an important model for the years ahead. It will be intriguing to see how 2019 unfolds in the betting and gaming industry. Further large-scale M&A activity cannot be ruled out, while expanding markets will keep everyone’s fingers on the pulse with a view to expanding reach and business growth.